crashed on a ranch located about 60 miles north of Roswell, New Mexico, rumors of diminutive alien corpses found nearby were largely dismissed by all but the more stubborn true believers in extraterrestrial invaders. 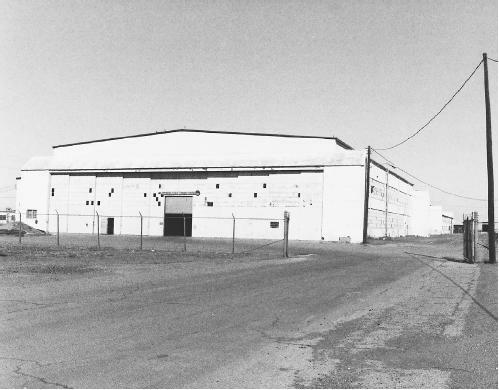 Every so often, though, stories would surface about Hangar 18 on Wright-Patterson Air Force Base, which was said to hold the remains of the crashed Roswell flying saucer and the refrigerated corpses of the alien bodies that had been found alongside the spaceship. As UFO research enters the twenty-first century, controversy still rages over the truth of whether or not Major Jesse Marcel and his men collected pieces of debris from a flying saucer along with the bodies of two to five extraterrestrial crew members. Many accounts from both civilians and military personnel who claim to have been eyewitnesses to the events at Roswell speak of five alien bodies found at the impact site north of Roswell and state that four corpses were transported to Hangar 18 at Wright Field, with the fifth going to the USAF mortuary service at Lowry Field. Two years before his death in the late 1990s, pilot Oliver "Pappy" Henderson swore at a reunion of his World War II bomber crew that he had flown the remains of four alien bodies out of Roswell Army Field in a C-54 cargo plane in July 1947. Don Schmitt and Kevin Randle, in their book UFO Crash at Roswell (1991), include an interview with Brig. Gen. Arthur Exon in which he states that, in addition to debris from the wreckage, four tiny alien cadavers were flown to Wright Field: "They [the alien bodies] were all found, apparently, outside the craft itself.…The metal and material from the spaceship was unknown to anyone I talked to. [The event at] Roswell was the recovery of a craft from space." speak of five alien bodies found at the impact site north of Roswell. His investigations confirm the claims made previously by other researchers that four corpses were transported to Wright Field and the fifth to Lowry Field to the USAF mortuary service. There are, however, numerous secondary accounts that maintain that one of the aliens survived the crash and was still alive when Major Marcel and his retrieval unit arrived on the scene. Some UFO researchers believe that as late as 1986 the alien entity was still alive and well treated as a guest of the air force at Wright-Patterson.